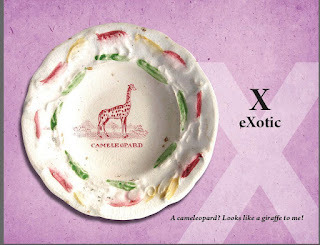 Dishy News - A Transferware Blog: CAMELEOPARD! What is a cameleopard? 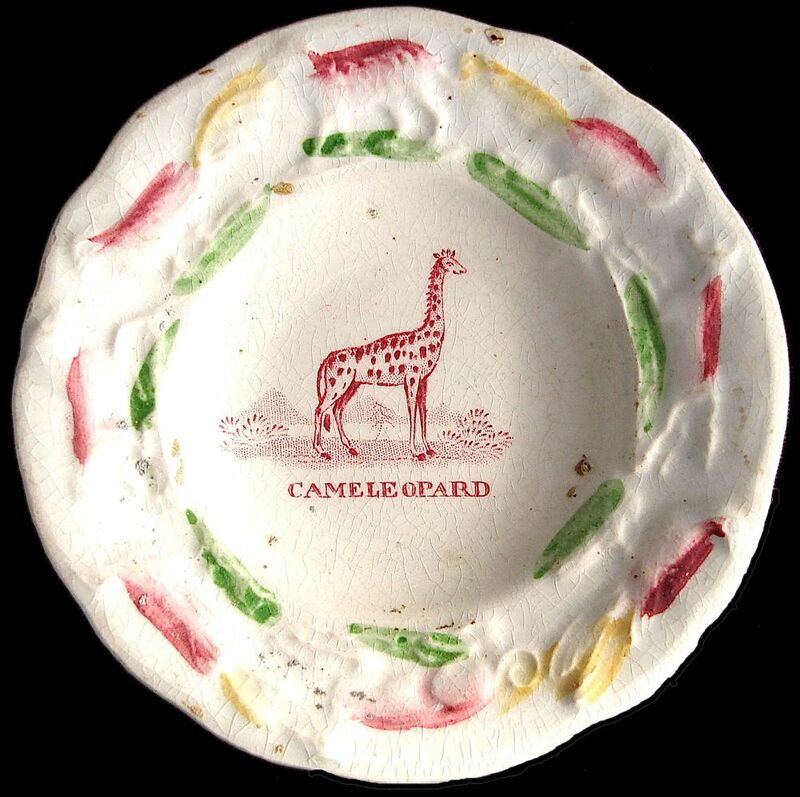 I saw a funny spotted animal on a small plate owned by my friend Dora Landey. Perhaps it was an imaginary creature like a unicorn. When I did a bit of googling, I discovered that "cameleopard" was the old name for a giraffe. The ancient Romans used the word and so did the British in the 19th century. The scientific name for the giraffe is Giraffa Camelopardalis. Eventually it was called a giraffe after the Arabic word "zirafah" which means "tallest of them all." 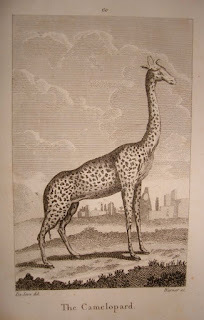 The source print for the Cameleopard is probably copied from Georges-Louis LeClerc Comte de Buffon's (1707-1788) "Histoire Naturelle" (1749-1788, in 36 volumes). Buffon was a French naturalist who greatly influenced the study of natural history. "The Cameleopard" from Buffon's 18th century work "Histoire Naturelle"
I liked the cameleopard plate so much that I used it to represent the letter "X" in my book, "Dishy Animals ABC." 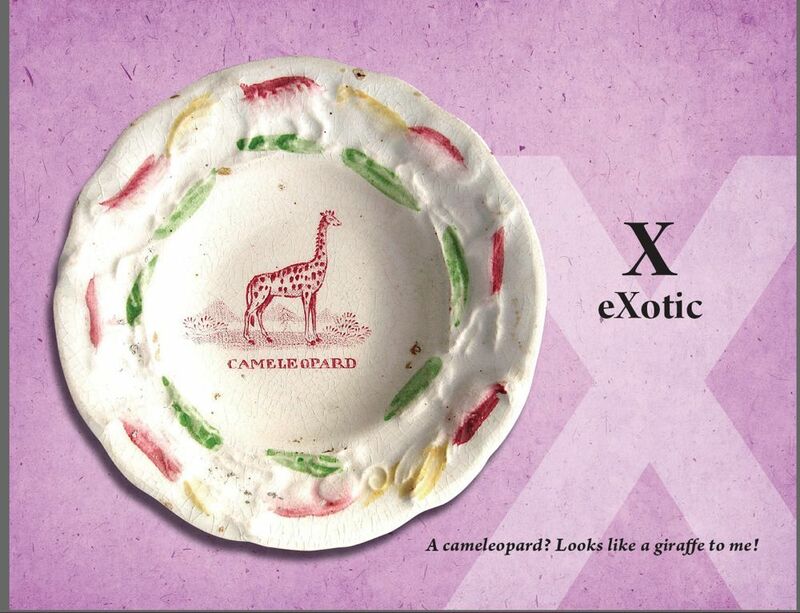 I couldn't find an "X" animal, so I used the word "Exotic." 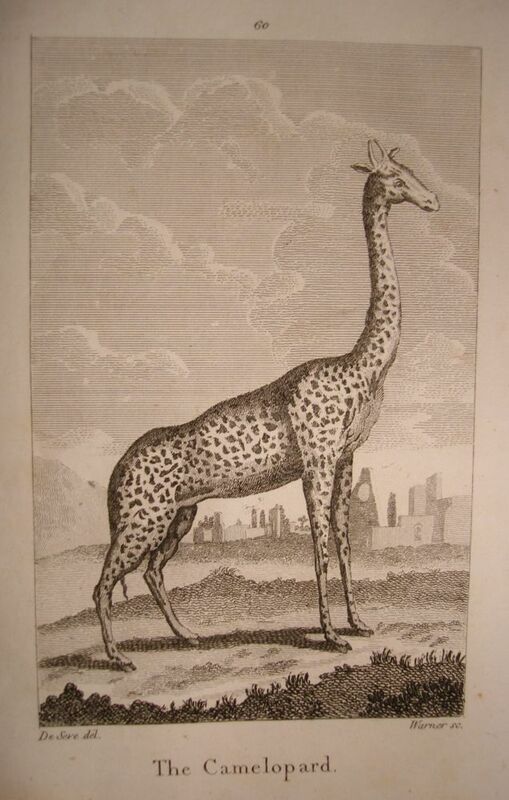 The cameleopard (giraffe) was definitely an exotic animal in the 19th century. "X" from "Dishy Animals ABC"
TRANSFERWARE DOGS OR "THE LEARNED DOG"